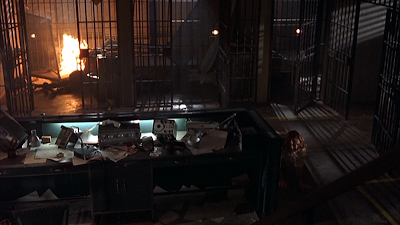 DVD Exotica: Beyond Re-Animator: America, Did You Know Your DVD Is Cut? Beyond Re-Animator: America, Did You Know Your DVD Is Cut? 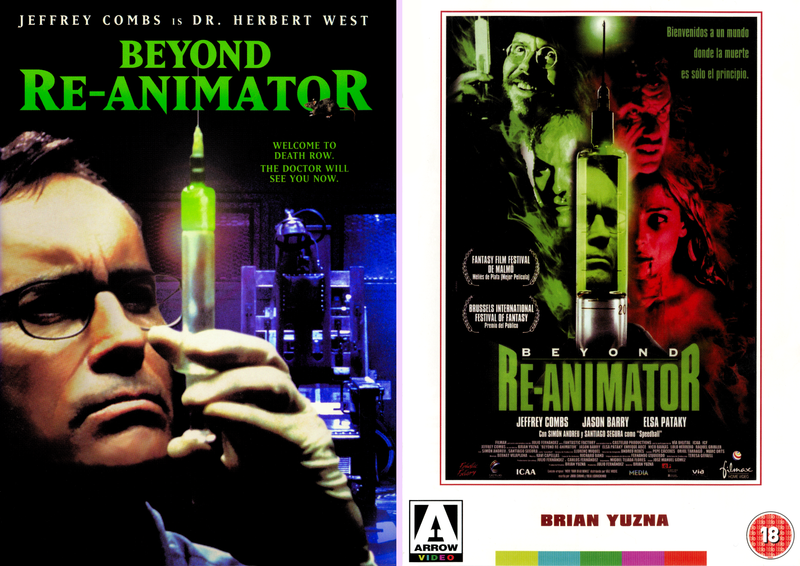 Well, I've done the first two Re-Animator films, I might as well finish up the trilogy with 2003's Beyond Re-Animator. 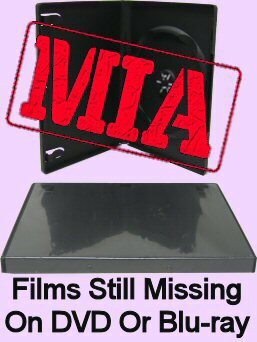 Especially since there's an interesting story in its DVD releases, what with the US edition, as the title says, being cut. And, on top of that, the UK disc from Arrow has a completely alternate set of extras. 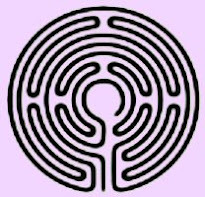 Oh, and the transfers are different as well. Really, the two releases are world apart, so I think it's definitely worth taking a look at them now. 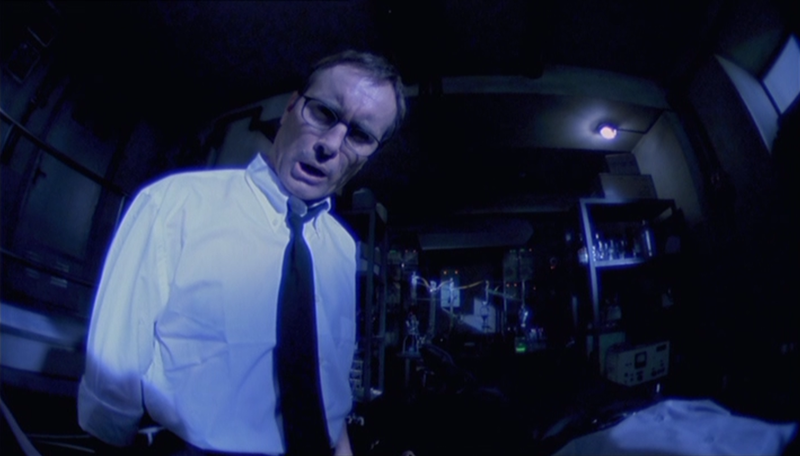 Admittedly, Beyond Re-Animator is the weakest link. The original's a classic, so the sequel was bound to be a step down; but it was still pretty great film. This one's another step down from there. But it's once again produced and directed by Brian Yuzna, with great effects by Screaming Mad George. 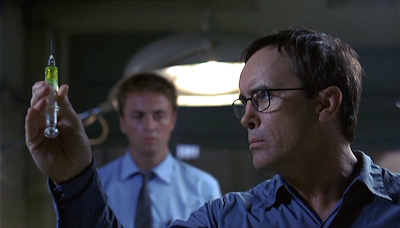 And most importantly, Jeffrey Combs is back again as Herbert West. It's a bit more of a B-movie than the other two, with more juvenile humor and less intelligence. We've got a new young guy to take the place of Bruce Abbot and a leading lady who I think is dubbed for most of her performance, which throws her acting pretty well off. 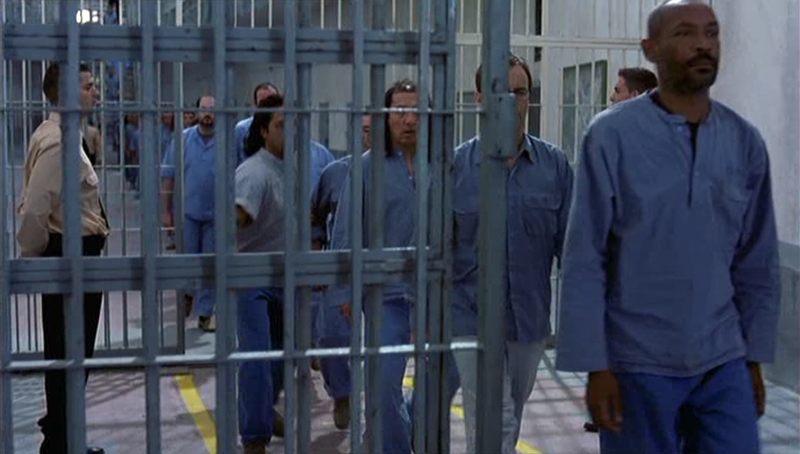 This was filmed in Spain, like all of Yuzna's work from this period, but they actually get some pretty high production values out of their prison location and manage to drum up some strong local supporting cast members. There's not much Lovecraft left in the story, and there's a bunch of added nonsense about capturing peoples' souls in little blue tubes that adds nothing; but if you stop comparing it to the first two films and just look at it as a stand-alone film in its own right, it's still a good time. A great lead character, wild effects, creative set pieces... I would not have been mad at all to see more Re-Animator films along these lines. But it does help if you see the uncut version, as opposed to what was released in the USA. I don't want to oversell the uncut version, mind you. The differences boil down to seconds, not minutes, of screentime. But they're minimizing the most extreme moments of the most wild and over-the-top parts, which since this film doesn't have the quality of writing as the previous entries, this film is really hinging on. 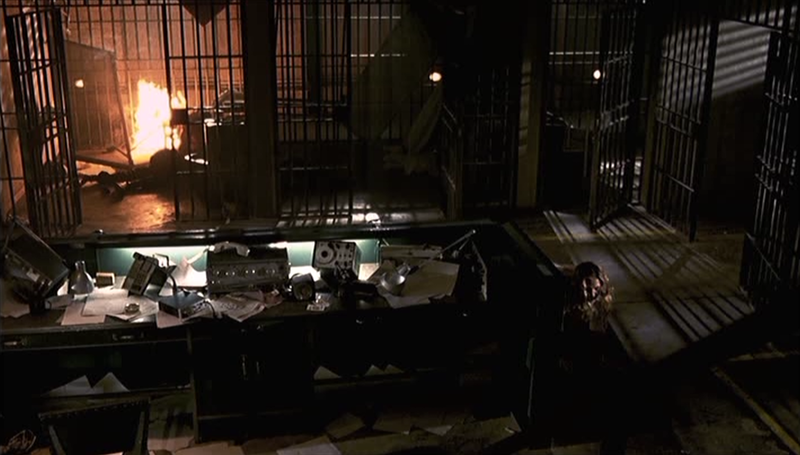 It reduces the intensity of one of the most violent, impactful scenes towards the climax and cuts out one of SMG's fun exploding guts shots earlier on. It also trims bits from a couple of the other cool effects sequences, like an exploding eyeball. Really, who wants to see a movie like this, but then be protected from the full exploding eyeball effect? Who is the R-rated cut for? So, while on paper the differences look pretty minimal, it really is a more enjoyable film uncut. The improved highlights go some way towards make up for the film's other weaknesses, rounding up to a slightly better film overall. So Beyond Re-Animator was a new release film when its DVD came out in 2003. And since it didn't exactly get a full theatrical run (although it did have a cable TV premiere on the Sci-Fi Channel), most of us were seeing it for the first time on Lions Gate's 2003 special edition DVD. I don't think most of us realized it was cut at the time. But in the UK, this film was reissued by Arrow as part of a Brian Yuzna collection, which gave it a different transfer, new extras, and yes, a complete version of the film with the censored bits included. Arrow UK DVD on top; Lions Gate US DVD bottom. So the aspect ratio is slightly different... the UK version is a bit pillarboxed to 1.76:1, while the US is full 16x9 at 1.78:1. But more notably than that is the fact that the UK transfer has more picture information on all four sides. So it's not just the little sliver along the top and bottom from the aspect ratio change, the Lions Gate DVD is also a little zoomed in, losing even more picture. The colors are a smidge different, too. Apart from that, though, the transfers are pretty identical. 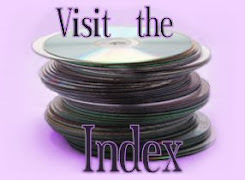 Both offer the same 2.0 and 5.1 audio tracks, although the UK disc also has the Spanish dub, whereas the US DVD has Spanish subtitles instead. But for English speakers, the options are the same. Despite being cut, Lions Gate was pretty did a pretty good job with their extras package. It wasn't quite the fully loaded special edition you expect for the bigger titles, but it's pretty solid. Firstly, and primarily, is an audio commentary by Brian Yuzna. Yuzna's always a good commentator, even by himself he maintains a good balance between informative and entertaining, and doesn't drift off into dead air like so many directors tend to do. Then there's a good little making of featurette that runs just over 17 minutes with a lot of on-set interviews with Yuzna and pretty much the entire cast. There's also some cool behind-the-scenes footage of everything from pre-production to shooting George's Mad effects. Those are the main things, but there's also a goofy but amusing music video for a dance track called "Move Your Dead Bones," and the trailer is hidden as an easter egg; but it is on there. Meanwhile on the other side of the ocean, Arrow has the audio commentary, too. And yes, I checked both; it's the same commentary. The trailer's also on there, but disappointingly, they don't have the featurette. That making of, in one form or another (some just play the interviews as separate little pieces) is on pretty much every Beyond Re-Animator DVD around the world apart from this one. But, on the other hand, only the Arrow DVD has this really sweet, almost hour long feature where Yuzna looks back at the whole Re-Animator trilogy. There's also a 12 page booklet with notes by Calum Waddell and a poster, plus the Arrow cover has reversible artwork, which I strongly prefer. I have to say, I'm really surprised nobody anywhere has released this film on blu yet. Looking at these screenshots, I think it would really benefit from the upgrade. And the Arrow booklet is short, blu-ray sized, which makes me think they were planning an HD release at one point, right up until the last minute. Oh well. Until then, we have to make do with DVDs, but at least the Arrow DVD improves the transfer a bit and most importantly is uncut. And if you have the Lions Gate DVD, you can hang onto that for the featurette; and between them you've got a pretty solid special edition, at least a standard def one. At last, Beyond will be coming to Blu-ray in Australia on June 6 this year from Umbrella Entertainment. It'll be packaged uncut as part of a 2-disc double-bill with Bride, both featuring special features.